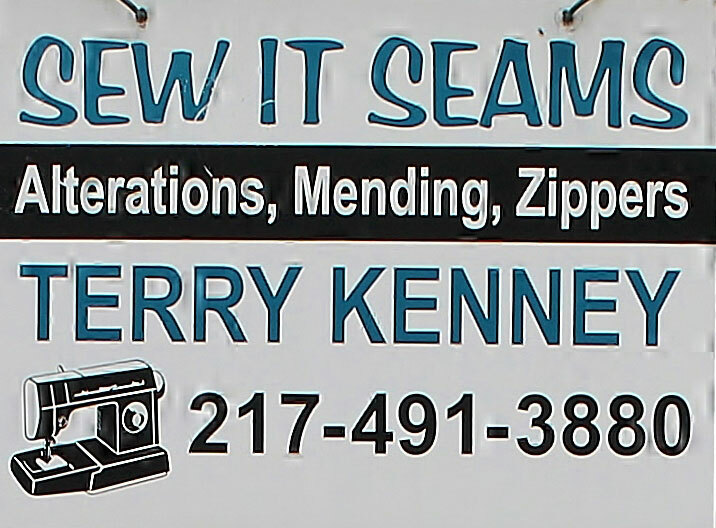 Terry Kenney is the proprietor of Sew It Seams. Terry has been in business since 1999, but has loved the art of sewing for a lifetime! Her gift was God given and nurtured by her Grandmother! She has years of experience with articles of clothing ranging in difficulty from wedding gowns to everyday items such as jeans! She does alterations, zippers, jackets, leather garments, etc. She uses patterns as well as her own creativity. She has taken old out dated clothing items and turned them into new and usable items for her customers! She has four sewing machines that allow her to take advantage of the modern technologies in her trade! Terry also makes learning new skills a priority! You can always expect a personal touch when you employ this talented lady to meet your sewing needs!